These are using the Silver Gable Boxes in the Annual Catalogue. You get 12 to a pack. They also come White. I diecut the red card with the Delicate Lace Edgelits. This was adhered to the front and the back of the box. 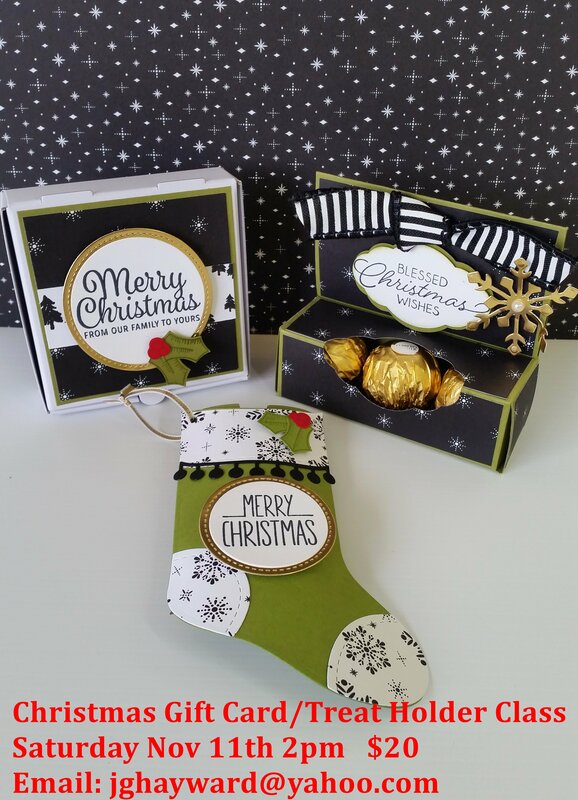 The sentiment is from the Stylish Christmas set and punch out with the Everyday Label Punch. I punched one from Shaded Spruce too to add behind. I tied around some of the Real Red Solid ribbon on the handle. Too easy and they will fit a few sweet treats. Hope you like it? Thanks for looking.